Posted on January 16, 2019 by Nicholas Carr. This entry was posted in Whole U Program Information and tagged university book store. Bookmark the permalink. In “Furor Scribendi,” one of Octavia Butler’s essays on writing, she instructs writers to first forget inspiration, because it is fickle, fleeting, and unsustainable. Habit, she writes, is what drives and sustains one’s work, regardless of inspiration. Butler’s advice is useful for more than just writing. Her focus on building habits to realize our goals, and not relying on peak instances of clarity and focus, shows that effort yields results. 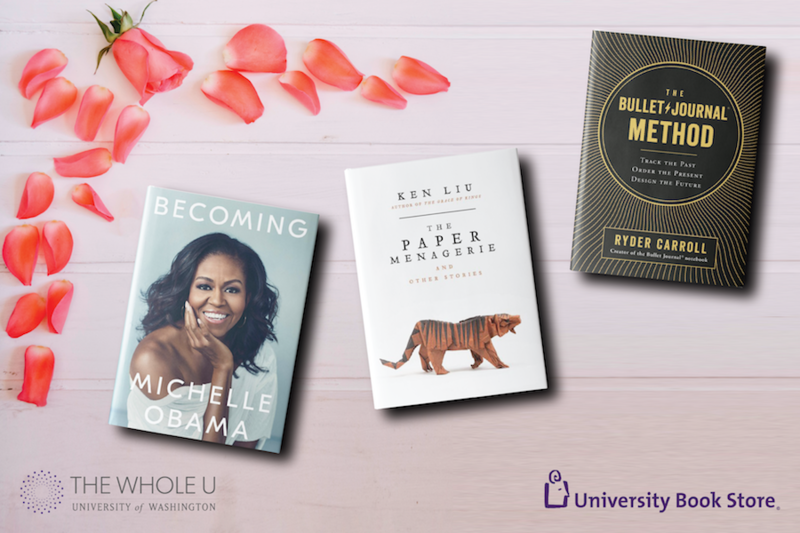 In the spirit of the sticking to our resolutions in 2019, here are 5 books from University Book Store to inspire you to keep working toward realizing your dreams in the New Year. Before the international success of Hamilton made him a household name, Lin-Manuel Miranda was already a human ball of warm sunshine. He posted original sayings, aphorisms, and poetry (including gems like “Do NOT get stuck in the comments section of life”) to his Twitter page in the morning and at night before bed. 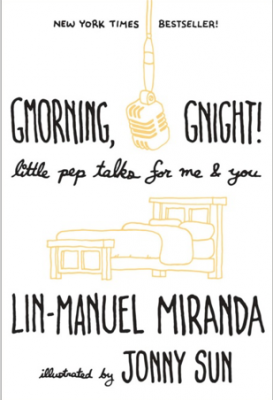 Now, at the request of fans, Miranda has collected his inspirational posts in a single book. With beautiful illustrations by Jonny Sun (best known for everyone’s a aliebn when u a aliebn too), Gmorning Gnight is the perfect collection to start and end your day on a positive note. Similar to gratitude journals, Miranda’s twice-daily affirmations shift your focus toward potential and optimism, helping you seize the day with a smile. Ken Liu’s masterful short stories, set in the mystical past, present, near future, and the far reaches of space, illustrate how ordinary people rise above conditions stacked against them and become unsung heroes. Liu’s heroes aren’t the stuff of legends; they’re ordinary people—workers, resistors, and mothers—who make the often difficult choice to fight against tyranny so that the errors of the past don’t take root in the future. 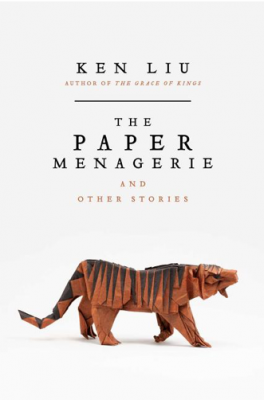 Ken Liu’s short stories have each collected several awards—the collection’s namesake, The Paper Menagerie, was the first work of fiction to simultaneous win the Nebula, Hugo, and World Fantasy Awards. By discovering greatness in nothingness, finding uncommon heroism in common people, and hope in hopelessness, Liu’s short story collection encourages readers to continue despite their fears and doubts. 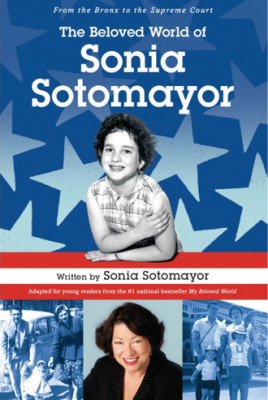 When asked why she writes books, Supreme Justice Sonia Sotomayor answered that “People–I add children–who live in difficult circumstances need to know that happy endings are possible.” It should come as no surprise then to see that Justice Sotomayor has adapted her bestselling 2013 memoir, My Beloved World, for young and middle grade readers to share how she made her dreams come true, and inspire the next generation of leaders. Justice Sotomayor doesn’t shy away from the hard truths of her childhood. She writes about growing up in New York City’s South Bronx, her parents’ personal demons, money troubles, and juvenile diabetes–and how she didn’t let those things stop her. Always believing in herself and guided by generous mentors and her loving, extended Puerto Rican family, Justice Sotomayor traces her journey to how she became the first Latina and third woman to be appointed to the United States Supreme Court. 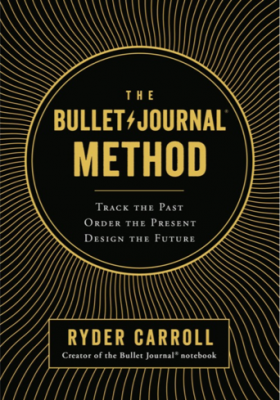 In 2013, dissatisfied with traditional organizing systems, Ryder Carroll developed a new method he called the Bullet Journal to better suit his needs. Since then, Bullet Journaling has become a viral, worldwide movement. The Bullet Journal Method is more than just organizing notes and to-do lists; it’s about weeding out distractions in order to focus time and energy on what matters most to you, in both work and personal life. Bullet journaling is about spending more time with what you care about by working on fewer things. Using simple pen and paper, The Bullet Journal Method teaches you how to make clear, comprehensive records, develop mindful, systematic lists, and turn vague curiosities into meaningful and attainable goals. As the first African American First Lady of the United States, Michelle Obama helped create the most welcoming and diverse White House in history, advocated for girls and women in the U.S. and abroad, and even showed us a few dance moves, crushed Carpool Karaoke, and raised two down-to-earth daughters despite the unforgiving, ever-present media glare. 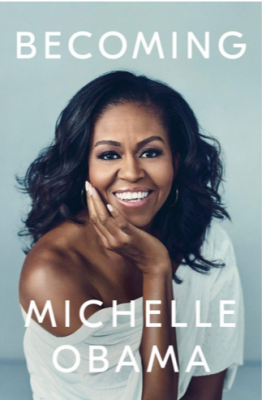 In her intimate, powerful, and inspiring memoir, one of our era’s most compelling women shares her life’s formative moments: from her childhood on the South Side of Chicago, to her years as an executive: balancing motherhood and work, and her time as First Lady. Through her triumphs and disappointments, both public and private, Michelle Obama shows us how she steadily defied expectations—and inspires us to do the same. Want to meet your (new) favorite author? University Book Store hosts hundreds of reading and signing events every year! Check out our events page or sign up for our e-newsletter!